Q: What will the trail cost to build? A: The State has alocated $8 million for the 34-mile section of the trail and $15 million for rail restoration to Tupper Lake.. 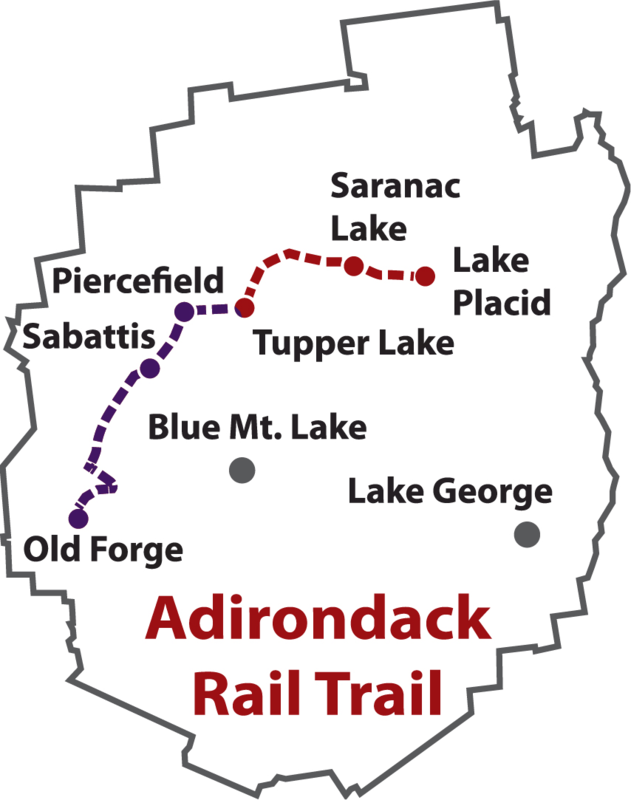 The Rails to Trails Conservancy estimated a construction cost for the 34-mile Lake Placid to Tupper Lake section substantially below this amount. Q: When can we use the trail? A: This is dependent on the State. Current plans are for the rails to be removed in early 2017. Construction estimates for the trail range from one to three years. There is pressure on the State to accelerate construction given the economic cost to the municipalities along the way of further delays. Q: Are the rails to Tupper Lake going to stay in place indefinitely? A: If the revised UMP is implemented as stated those rails will be upgraded and will remain to accomodate train service to Tupper Lake. There are major questions remaining about the costs versus the level of ridership that could be expected on what will be the longest tourist train jouney in the Uniedt States.